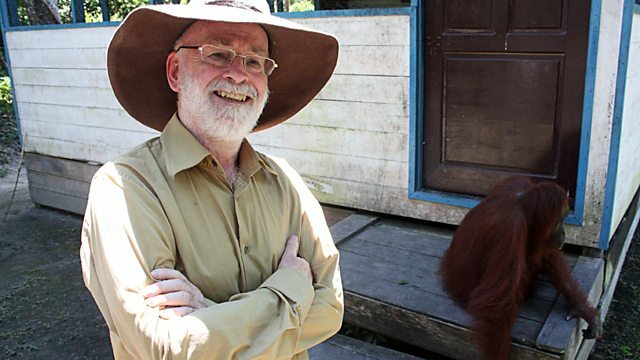 Author Sir Terry Pratchett finds out what the future holds for orangutans, and discovers a new threat to their habitat that could push them to the brink of extinction. Best-selling author Sir Terry Pratchett, diagnosed with Alzheimer's in 2007, has one last adventure he wants to go on. Eighteen years ago Terry had a life-changing experience in the jungles of Borneo, where he encountered orangutans in the wild for the first time. Now he is going back to find out what the future holds for these endangered species, and discover a new threat to their habitat that could push them to the brink of extinction. His Alzheimer's will make the trip an incredible challenge both physically and mentally, as he contemplates the role of mankind in the eradication of the planet's species, and considers his own inevitable extinction. Terry is accompanied by his friend and assistant Rob Wilkins, as they investigate an Indonesian street market where endangered species are reportedly on sale, meet the world expert on orangutans, Dr Birute Galdikas, and journey into the rainforest in search of the former king of the orangutans, Kusasi.